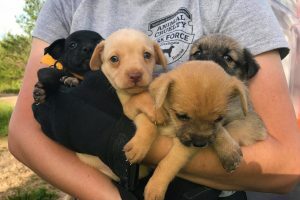 The Humane Society of Missouri Animal Cruelty Task Force (ACT) is rescuing 55 dogs from filthy, crowded living conditions in two homes on a property in Howell County in south central Missouri. The majority of the dogs are Chihuahua- and Terrier-mixes, ranging in age from one-month-old puppies to mature, adult dogs. Many of the dogs have extremely overgrown toenails and eye and skin infections. Both homes were trash-strewn and dirty with floors and furniture soaked with urine. A concerned citizen notified the Howell County Sheriff’s Office about the situation; the Sheriff then contacted HSMO’s ACT to assist the animals. The dogs’ owners have agreed to surrender custody to the Humane Society of Missouri. 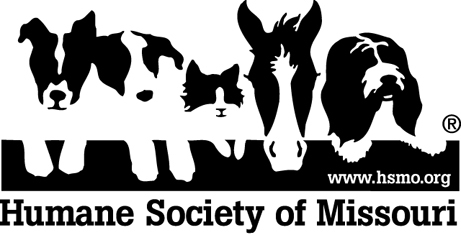 The dogs are currently being transported to Humane Society of Missouri headquarters in St. Louis, Mo. where they will be examined by the Humane Society of Missouri’s shelter veterinary team, cared for by shelter staff and made available for adoption as soon as possible. Toys for small dogs and gently-used, clean, stuffed cuddle toys.